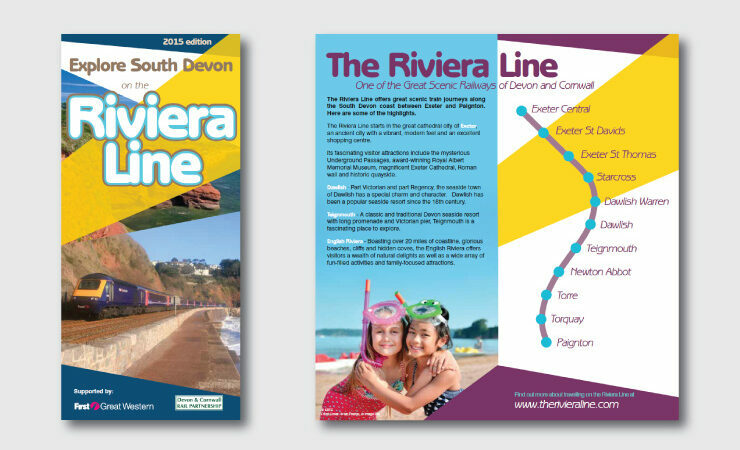 A new booklet has been produced as part of the Citizens’ Rail marketing campaign to promote travel on the Riviera Line between Exeter and Paignton. The free booklet has been produced by the Devon and Cornwall Rail Partnership and brings together ideas for great days out in Exeter, Dawlish, Teignmouth, Newton Abbot and along the English Riviera. Walks from stations are also featured including the Exe Estuary Trail and Agatha Christie Mile in Torquay. The booklet also promotes South Devon events along the Riviera Line in 2015 including the Dawlish Arts Festival, Dawlish Air Show, Carnivals at Teignmouth and Paignton and the Dartmouth Steam Railway’s Beer Festival. 105,000 copies of the booklet have been produced. Copies are now available at tourist information centres and in libraries throughout South Devon. Rail company First Great Western are helping by distributing them via stations across their network, including London Paddington and Bristol Temple Meads as well as local Devon stations. Download the free booklet (PDF).